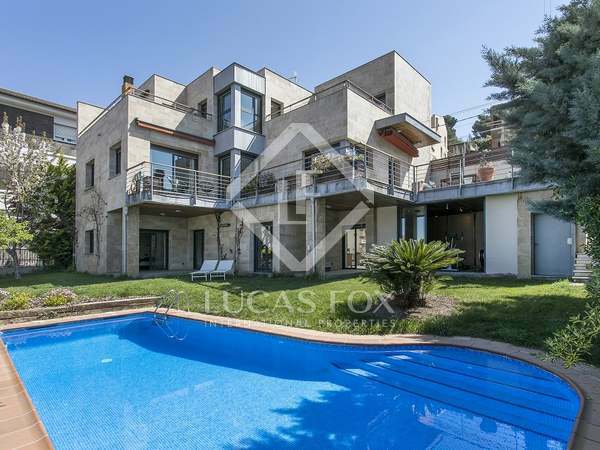 Great opportunity, large family house with swimming pool and parking in the exclusive luxury residential area of Ciudad Diagonal in Barcelona. 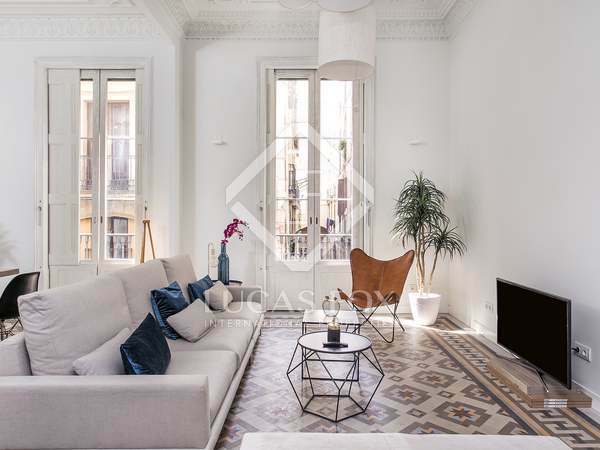 Excellent modern apartment with high-end finishes, fully renovated and furnished, in an unbeatable city location between Passeig de Gràcia and Rambla de Catalunya. 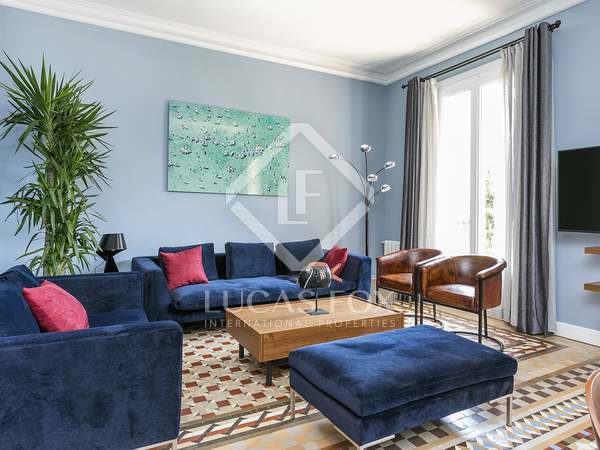 Sophisticated, spacious 4-bedroom, 2-bathroom apartment with several balconies and a very stylish renovation, located between the Gracia and Eixample Right neighbourhoods of Barcelona City. 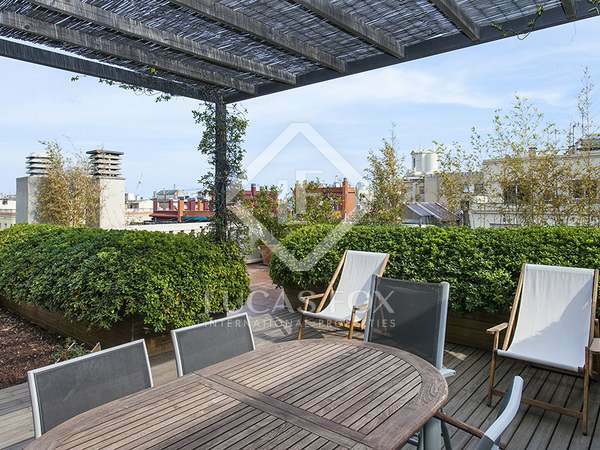 Stunning, fully equipped 2-bedroom penthouse apartment with spectacular city views and a private terrace, in a modern new building on Passeig de Joan de Borbó. 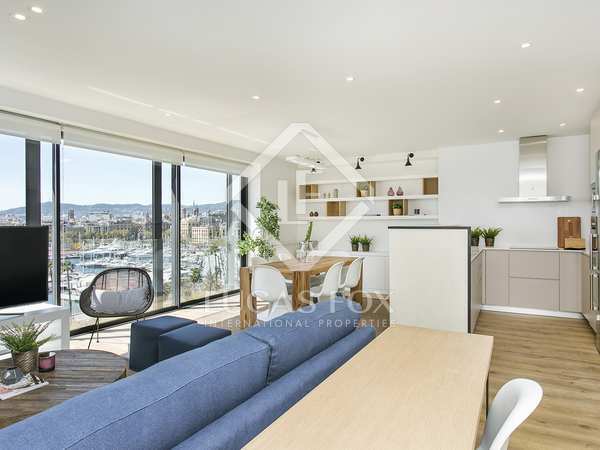 Stunning, fully equipped 2-bedroom apartment with spectacular direct views of Port Vell, in a modern new building on Passeig de Joan de Borbó. 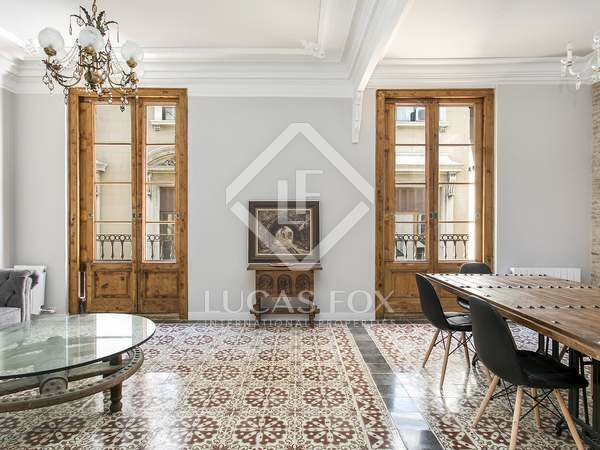 Beautifully renovated 3-bedroom apartment with restored period features for rent on principal floor of historical building on Calle Avinyó. 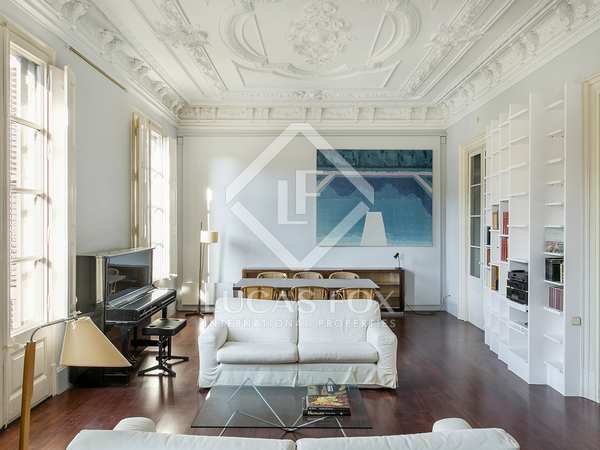 3-bedroom penthouse property with terraces to rent in a stately building near Plaza Cataluña. 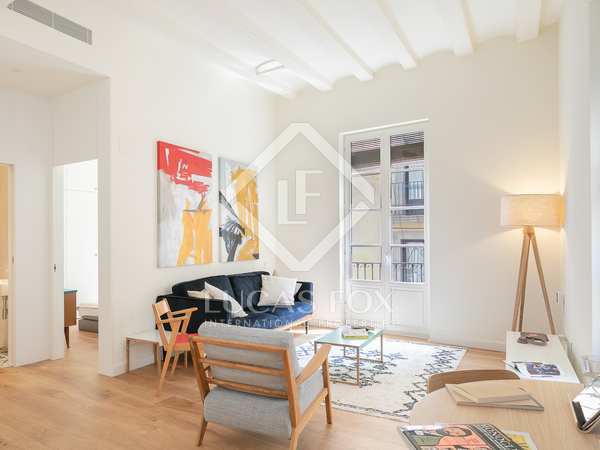 Wonderful apartment with high ceilings, abundant natural light and balconies overlooking Plaça Reial for rent in the heart of Barcelona. 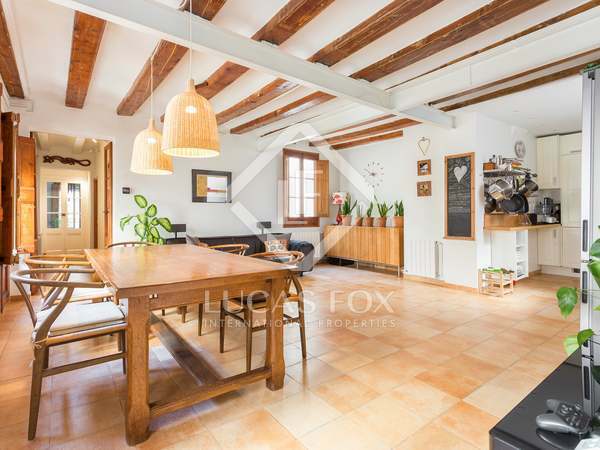 Spacious, bright, peaceful property in the Gothic Quarter, consisting of a main 2-bedroom property, a complete studio apartment and an office space. 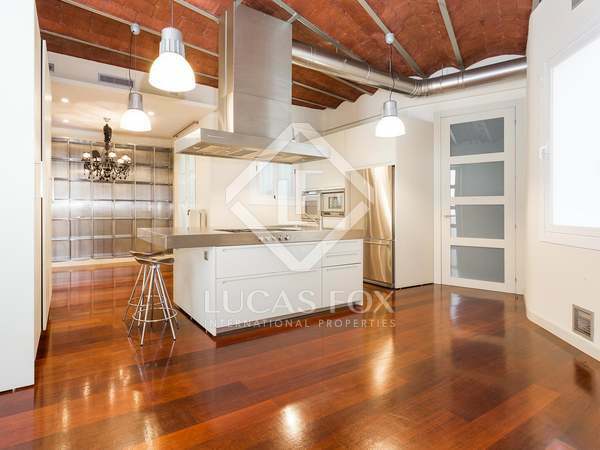 Excellent 3-bedroom property located in a classic building by Barcelona Port with modern finishes and Modernista period features. 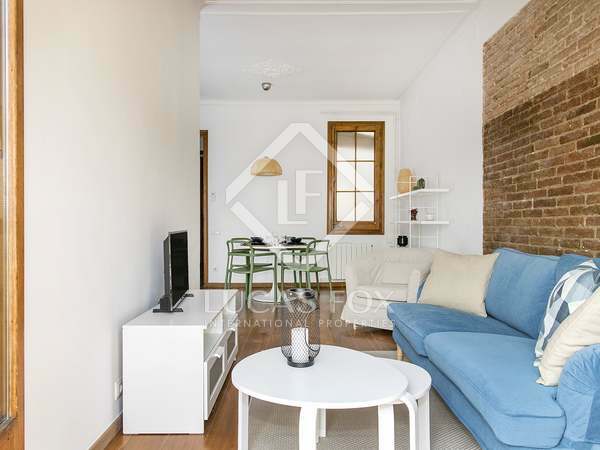 Beautiful 2-bedroom furnished and equipped apartment with balconies to rent in a great location nestled between the Born and Eixample Right areas. 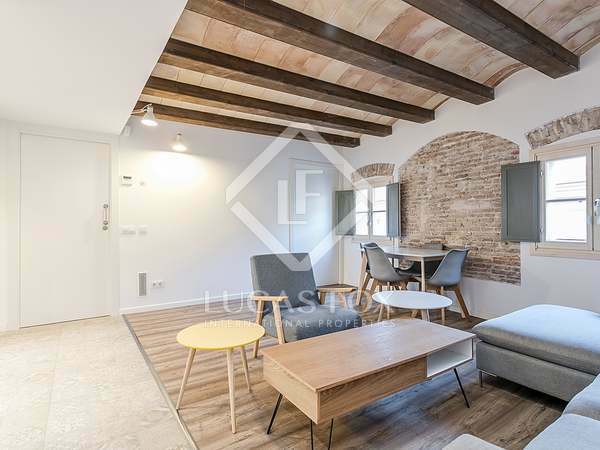 Refurbished 1-bedroom apartment with beautiful original features and high quality finishes, for rent in the heart of El Born. Sunny, fully renovated apartment to rent furnished in Vila de Gràcia, Barcelona. 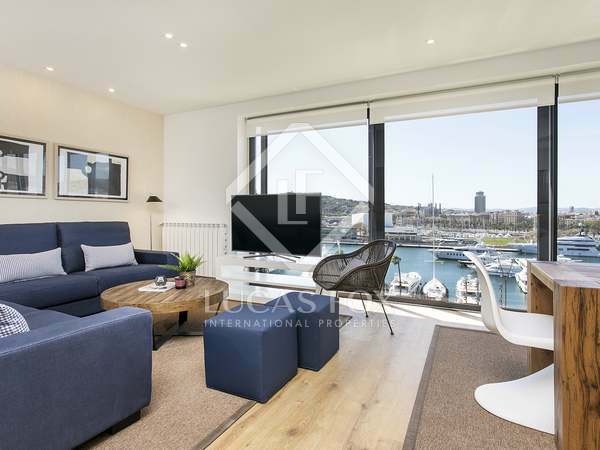 Lovely airy 4-bedroom apartment with balconies and fabulous views of the port. The ideal place to enjoy the Barcelona sunshine and lifestyle. 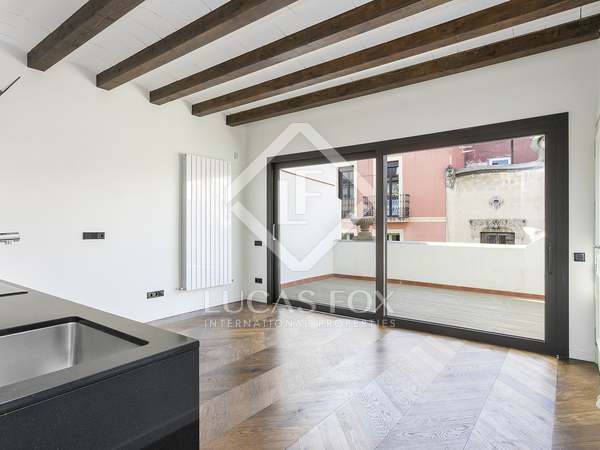 Brand new 60 m² penthouse apartment with 60 m² of terrace space for rent in Gracia. 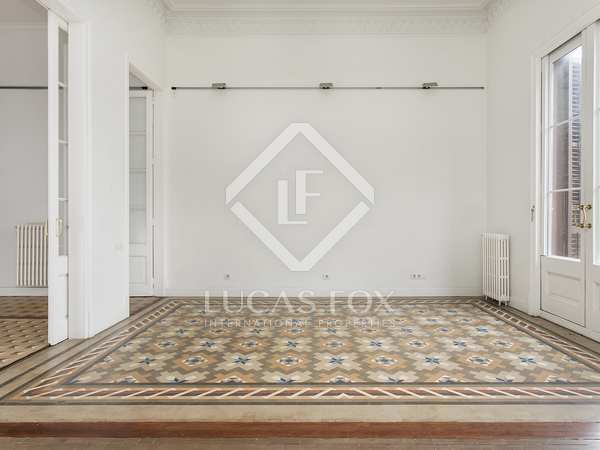 Magnificent 2-bedroom apartment for rent in a beautiful early 20th century building in the heart of El Born, Barcelona. 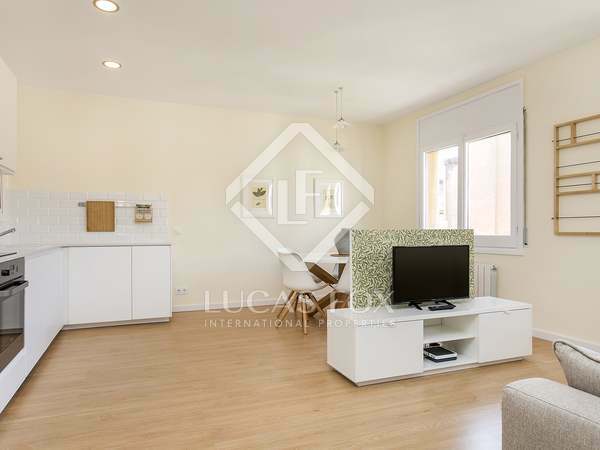 Renovated and fully furnished 3-bedroom apartment at the heart of the Born neighbourhood, next to Santa Caterina Market with optional parking space. 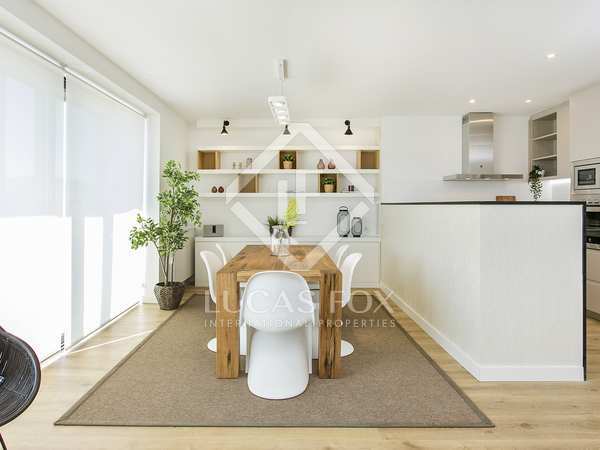 Fully equipped new build 1-bedroom apartment for rent in a stylish New Development in Barcelona’s Gothic Quarter. 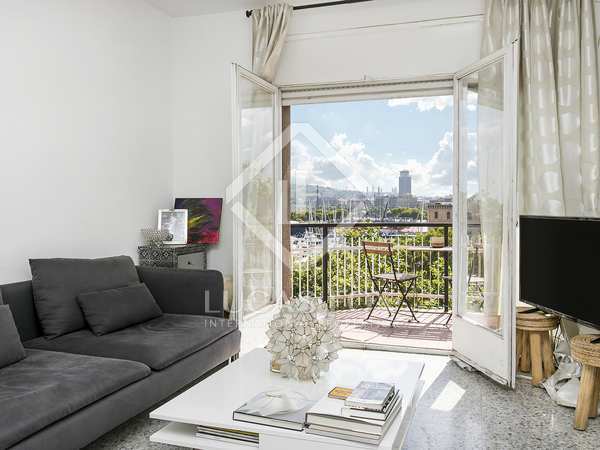 Fully furnished and equipped 2-bedroom apartment to rent in Eixample Right with a spacious terrace overlooking the Sagrada Familia. 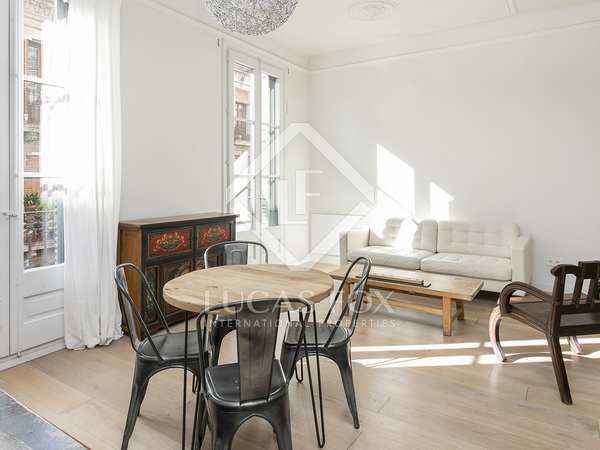 93 m² apartment to rent in the Sant Antoni neighbourhood of Barcelona City with spacious, bright living areas and modern finishes combined with period features. 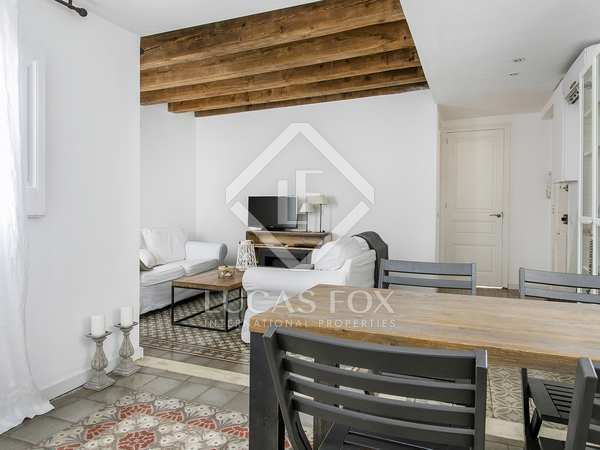 Beautiful bright 3-bedroom apartment, fully refurbished and presented with modern interiors in a period building in Vila de Gracia. 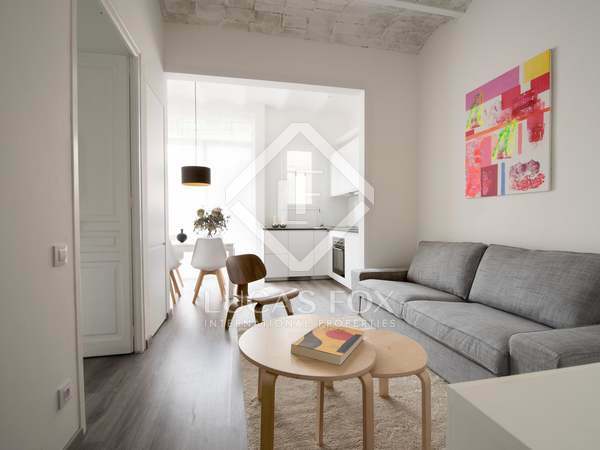 Newly renovated 2-bedroom apartment with high quality finishes to rent in a great location at the heart of Vila de Gracia. Charming apartment with a fantastic communal terrace, for rent close to Carrer d'Enric Granados in Barcelona. Finding the ideal home for long-term rental in Barcelona can be a daunting prospect as there are so many properties to choose from and, as anyone who knows the city well will tell you, no two neighbourhoods are alike. At Lucas Fox we offer a comprehensive and personalised rental service that provides peace of mind for property owners and valuable assistance for tenants seeking the ideal property for their individual needs. Our Barcelona apartments for rent in the Eixample area are among the most popular as they offer three very attractive features: a prime location, contemporary renovated interiors with high-end finishes and charming historical façades and Modernista period features. Those seeking larger properties to rent with private outdoor pools and gardens may head to Zona Alta; the city's most exclusive area and home to many prestigious international schools and sports clubs. If what you are looking for is a vibrant, authentic Barcelona experience, our long-term rental apartments, penthouses and lofts in the areas of Poblenou, Gracia and Barceloneta are ideal. These are up-and-coming areas with distinct atmospheres and reputations for being trendy, dynamic hubs of creativity and design. Diagonal Mar offers excellent long-term rental apartments in slick modern towers with outstanding communal facilities and floor-to-ceiling glass walls to make the most of the sea and city views. This area is particularly popular among corporate clients relocating to Barcelona for work purposes and requiring easy access to and from the city centre and its airport. 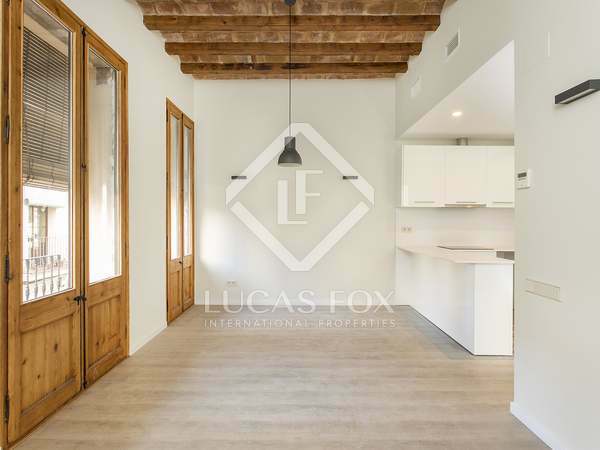 Browse through our Barcelona properties for rent and contact us for further information or to begin your exciting property search with Lucas Fox.